In modern English, the Simple Present Subjunctive is most commonly used in formal commands and requests. 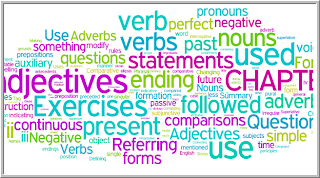 In the following examples, the verbs in the Simple Present Subjunctive are underlined. e.g. They demand that he submit a report. We request that you be here tomorrow. The Simple Present Subjunctive is also still used in a few traditional expressions. e.g. Long live the King! The past tenses of the Subjunctive, and the auxiliary would, are used in expressing wishes. e.g. I wish you were here. I wish I had known that. The past tenses of the Subjunctive, and the auxiliary would, can also be used in order to indicate that conditions being expressed are false or improbable. e.g. If I were rich, I would travel around the world. If he had been here, he would have been glad to see you. In the first example, the use of the Simple Past Subjunctive were and the Simple conjugation with would indicates that the condition expressed in the clause If I were rich is false or improbable. In the second example, the use of the Past Perfect Subjunctive had been, and the Perfect conjugation with would, indicates that the condition expressed in the clause If he had been here is false. The English past and present tenses discussed in previous chapters are in what is usually referred to as the Indicative Mood. Each of the past and present tenses in the Indicative Mood has a corresponding tense in the Subjunctive Mood. In modern English, most verb tenses in the Subjunctive Mood are similar or identical to the corresponding tenses in the Indicative Mood. It should be noted that verbs in the Subjunctive Mood do not modify, but have the same form regardless of the subject. The Simple Present Subjunctive and Simple Past Subjunctive of the verb to be are shown below. The Indicative forms are also given, for purposes of comparison. The Subjunctive forms which differ from the corresponding Indicative forms are shown in bold type. For any verb, the Simple Present Subjunctive is formed from the bare infinitive of the verb. 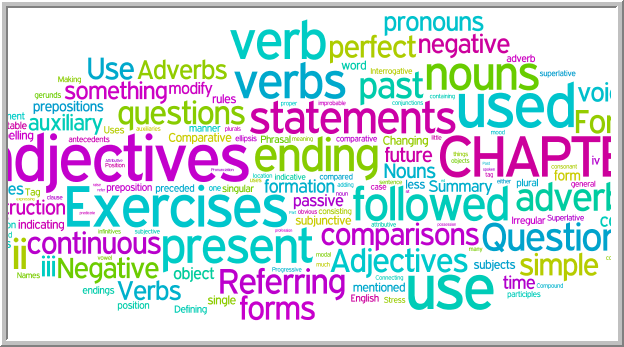 For any verb except the verb to be, the Simple Past Subjunctive is identical to the Simple Past Indicative. For all of the past and present tenses conjugated with auxiliaries, the Subjunctive tenses are formed in the same way as the Indicative tenses, except that the Subjunctive of the auxiliaries is used. Using the example of the verb to work, the following table compares the tenses of the Indicative and Subjunctive Moods. The Subjunctive forms which differ from the corresponding Indicative forms are printed in bold type.